Culture is the soul of an enterprise. For decades, our corporate culture “ Integrity 、Pragmaticism、Innovation、Development" has been guiding our staff to realize every core value of the company in their daily work. We devote to secure employees' legitimate rights and interests, assist employees' career development, care foremployees' life, and try to benefit each employee from corporate development, make each employee happy during the work span. 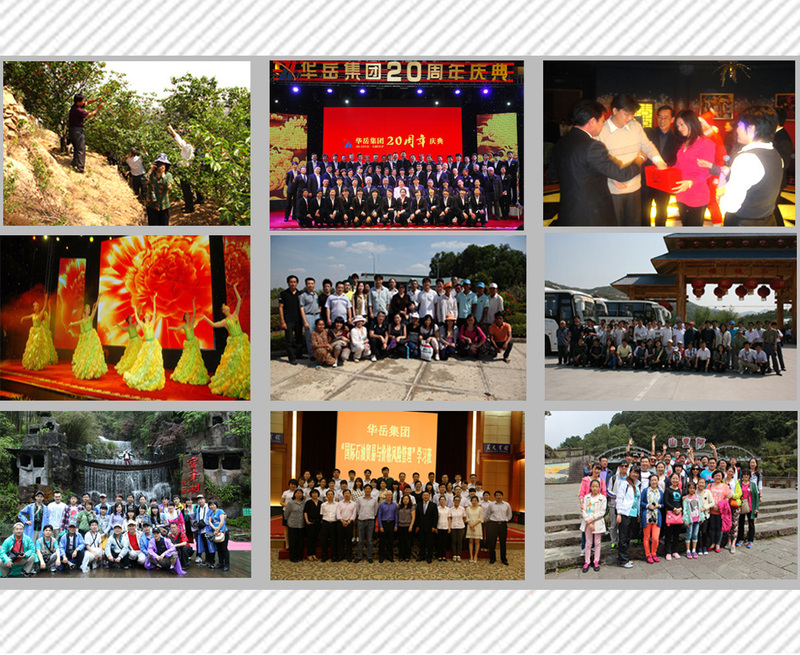 HuaYue group believe that every employee is sparkling stars, and is the force of enterprises developing. We feel lucky to meet together and cherish each other as the most precious treasure; and we support each other and go ahead hand in hand.